Last week I focussed attention on self-employment and pointed out a number of ways of becoming self-employed. This week I shall highlight the different methods of setting up a business that can be grown into a separate and valuable entity. Just like self-employment, this can be done on a part time or full time basis. Obviously you will grow it quicker full time and you will have a greater range of choice if you can start full time. If you have a job or other responsibilities that cannot be let go just now, don’t worry. There are plenty of part time opportunities to consider. How much will it cost to set up the business and bring it to market? How easy will it be for competitors to jump on the bandwagon if it is successful? Will it be profitable enough to fund growth of the business? With a new product or service, how easy will it be to recruit skilled staff or train new employees? Most businesses are not unique. They are either straight copies of others, or a variation on a theme. Some business pundits maintain that being second (or later) in to a market gives you an edge over the market leader. The idea being that you learn from the (often costly) mistakes of the leader. To a degree this is true, but if the leader has become well established, you will always be seen to be a copy! Often the way a later entrant to the market can succeed is by being in some way different or better than those who are already there. Examples are – better quality, better customer service, lower price, greater convenience, more choice, added value features etc. A key way to improve on what is already there is to listen to what existing customers have to say about their current supplier and the products. Log both good and bad points then keep the good and improve on or eliminate the bad. Then remember to tell the customer what is different about your offering. This is the ultimate “copy someone else’s idea”, because the originator actually sets you up in business and teaches you how to do it. The very best franchises make it almost impossible to fail. Very many well known high street names are in reality franchises run by individual business owners but under a common brand name. Banks and investors like franchises because they have a low failure rate and a reasonably predictable performance. There are still risks however. There have been and probably still are some “dodgy” franchises out there. Run by very plausable people who use a glossy image to win you over, take your money (franchise fees can be very high) and leave you high and dry with little or no support. Some are deliberate fraud, but others are legitimate businesses who see franchising as easy money but do not understand the importance of support and training. 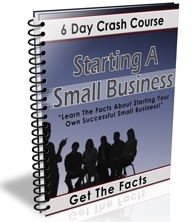 There are many hundreds or even thousands of businesses on the market at any given time. They are for sale for a variety of reasons. Maybe the owner wants to retire & has no one to pass the business on to. Kids don’t tend to go into the family business the way they used to. A frequent stated reason for sale is the owner’s ill health. This may be genuine or it may be a cover for the real reason – a failing business. Just be sure the ill health was not brought on by the stress of running the business. Some people get a kick out of starting and building a business, but get bored after a few years and have the urge to do it again with another idea. Others make a business out of buying up under performing businesses, turning them round and then selling them on at a profit. Others may have got wind of something about to happen that will have a negative effect on the business so want to get out while they can. The benefit of buying an existing business is that it has a proven track record and an existing customer base – just be carefull and check it out thoroughly. This differs from the above in that you are not buying the whole business, just a share in it. If you have the relevant skills and some finance, you may get a very good deal. Often an existing owner wants to grow, but lacks either skills or money or both to make it happen. By selling a part of the existing business to the right “partner” the business can be grown to the point where the individual shares are worth more than the original business. That way you both gain. Alternatively the existing owner may want to retire gradually by bringing in someone who will eventually take over the whole business. The benefits of this way into business is the help and training you will get from the existing owner. There is less likelihood of being “taken” because the original party is still involved in the business. You have a proven business and you can build up gradually as a team. The important thing is to make sure that you can both get on together – this could be far more expensive than a divorce if things go wrong so choose your business partner more carefully than a wife! You should also make sure you have detailed written agreements concerning how the business will be run and who will be responsible for what. That way there is less cause for disagreement later. Get a good lawyer to check it out. So, now you have seven ways to go self-employed (from last week) and five ways to start to build a business. These are not mutually exclusive – you may be able to do more than one at a time, just don’t start a second one until the first is running on autopilot. You may start self-employed then turn it into a full blown business employing others. PS – now we are getting well underway, I really look forward to hearing about your successes and achievements towards your goals. Please add your comments (or criticisms!) to this article as well as anything to do with business or freedom that you would like to see in the newsletter. If you have any hints or tips to share with your fellow subscribers, add them in a comment here.